A fungus that can cause a devastating disease in bats has been discovered in Minnesota for the first time. 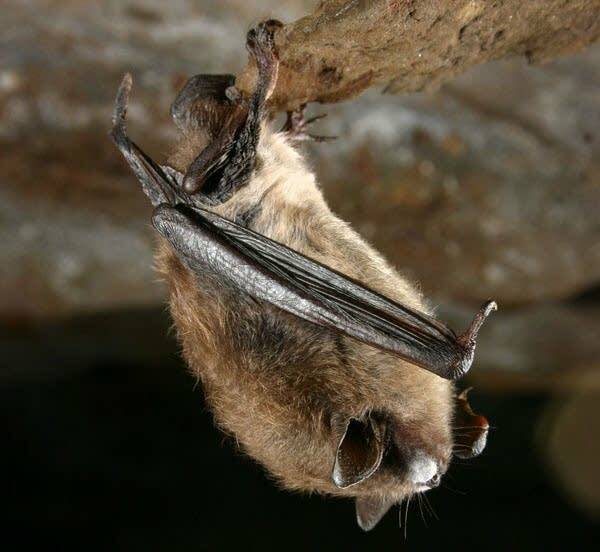 The fungus that is linked to white-nose syndrome has been found at Forestville/Mystery Cave State Park in southeastern Minnesota and at Soudan Underground Mine State Park on the Iron Range, according to the Minnesota Department of Natural Resources. Since white-nose syndrome was first discovered about six years ago in New York, the disease has killed nearly 6 million bats in the eastern North America. The fungus damages a bat's wings and can lead to unusual behaviors. Dehydration caused by the fungus can send bats on a search for something to drink during cold weather, said Gerda Nordquist, a mammalogist for the Minnesota Biological Survey. "That also is going to use up their stored fat reserves so then they may be actually starving and may be trying to fly outside to find insects during the winter," Nordquist said. Minnesota is home to at least 50,000 hibernating bats that pollinate plants and help control insects that feed on farm crops and trees in Minnesota's forests. Nordquist said a decline in bat populations could lead to problems with pest control in the state. Officials said the good news is that the fungus has only been found in four bats -- three little brown bats and one northern long-eared bat. It wasn't detected on any cave walls. Forestville/Mystery Cave State Park is located about 40 miles south of Rochester, Minn. Soudan Underground Mine State Park is about 93 milies north of Duluth. But the disease can spread easily from bat to bat, and the animals can fly over 200 miles. Officials said the closest sites where the disease has been found are in Ontario and Illinois. Because the fungus was also found in Iowa, it's possible that Minnesota bats mixed with infected bats. Researchers are trying to head off the disease before it spreads more widely. Jeremy Coleman, the U.S. Fish and Wildlife Service's white-nose syndrome coordinator, is trying to pin down how long it takes for the fungus to spread and cause outbreaks. "It's one of the things we're working on pretty doggedly right now," Coleman said. "What we can do to treat the fungus or treat infected bats, treat the environment or in some way reduce the impacts of the disease. It's one of our top priorities." Coleman said the options to combat the fungus are limited because researchers don't want to harm the natural environment. 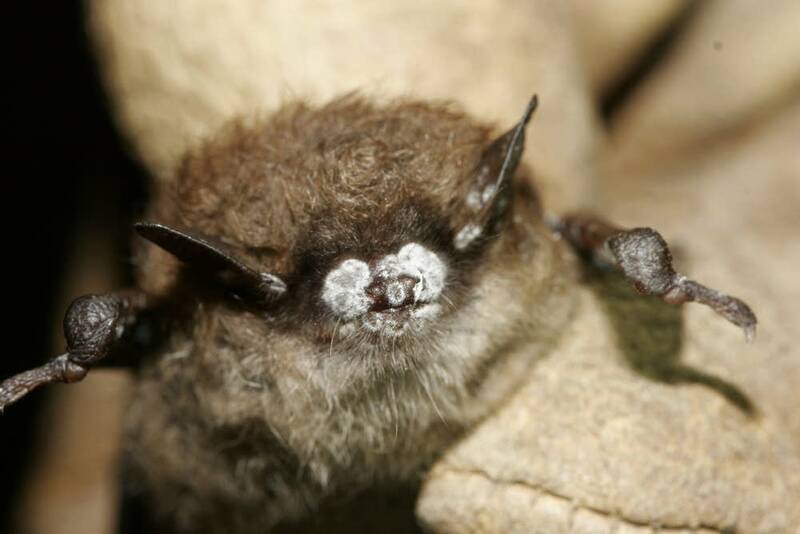 Ed Quinn, a natural resource coordinator for the DNR's parks and trails division, said officials plan to continue to take precautions against the spread of white-nose syndrome. "We'll have visitors walking over special AstroTurf-like mats that have been shown to remove many of the spores that could have potentially gotten on their footwear while they were visiting the cave," Quinn said. "We'll also be advising them not to visit other caves or mines wearing any of the same clothing or gear -- just washing your clothes in a standard washing machine is not enough to completely disinfect clothing." The best-case scenario for bat survival in Minnesota would be if state bats start to develop a resistance to the disease, much like bat populations in the northeastern United States appear to be doing.